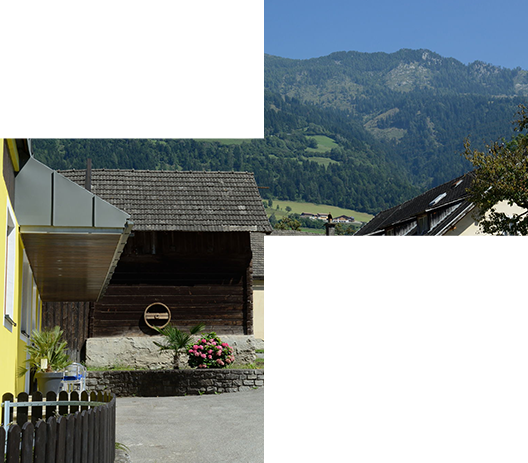 Feriënhaus Kolbnitz, located in the municipality of Reißeck offers nature lovers, recreational and sports enthusiasts the opportunity to discover and experience the beautiful Carinthia. Stay with family or friends in a completely newly built 4-6 person apartment and experience comfort and space. Are you with two visitors? We’d like to surprise you with a delicious breakfast in our twin room. Kolbnitz area offers in winter a range of winter activities in different ski areas, with a ski bus just 300 meters from your stay. Enjoy scenic views of one of the many hiking trails, mountainbike trails or bike routes. Also, in summer Feriënhaus Kolbnitz is the perfect base for numerous sports activities in and around beautiful lakes and rivers in the area. Despite its central location in the village, Feriënhaus Kolbnitz makes you enjoy an offers rest and relaxation. Build a snowman in the garden, or relax in the sun. A nice breakfast or a hearty meal to make quick and easy thanks to the well-equipped kitchen with induction hob, fridge, coffee maker, cookware and household package. Do you want a bite to eat, visit one of the restaurants in Kolbnitz. about 200 meters walking is a Spar where you can shopping everyday.